Cured in a natural way at 700 meters altitude Consorcio de Jabugo, S.A. is undertaking and ambitious project in the field of products from the Iberian pig. With a processing plant of more than 9,000 square meters ready to deal with 20,000 Iberian pigs a year in a first phase and up to 40,000 heads in the near future. 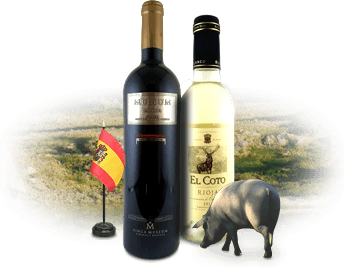 Don’t miss our Spanish Wine! Iberian Ham, with its sweet-and-salty richness, pairs best with wines that have a touch of sweetness, plenty of acidity and bold fruit. Check our Spanish wine store now!